Okinawa Ridge+ claims a top speed of 55 kmph and range of 120 kms. 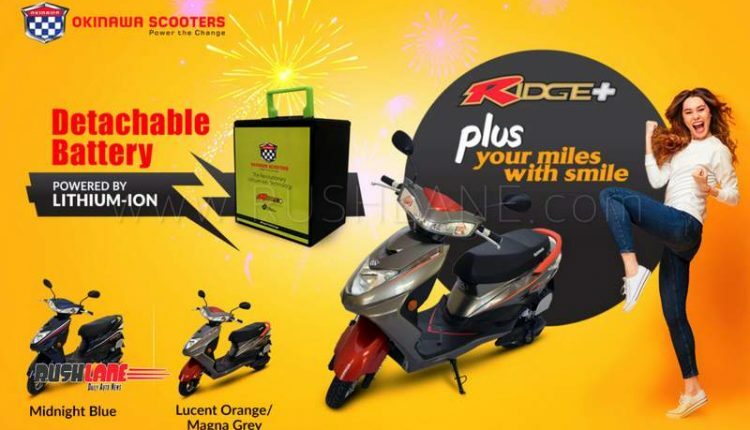 Okinawa Scooters, founded in 2015 by Mr. Jeetender Sharma and Mrs. Rupali Sharma, and manufacturers of high speed e-scooters and bikes, have officially launched the new Ridge+ electric scooter in India. The launch of this e-scooter follows launch of the Okinawa Ridge and Praise e-scooter. The new Okinawa Ridge+ is priced at Rs 64,988 and is offered in two color options of Lucent Orange/Magenta Grey and Midnight Blue. 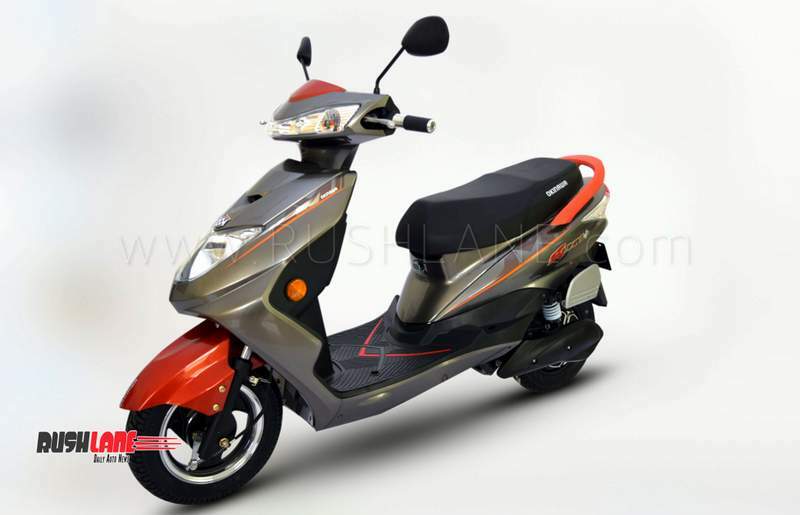 This electric scooter sports a detachable lithium-ion battery pack, in place of lead acid battery, powering an 800 watt waterproof BLDC motor. The scooter, which weighs a total of 150 kgs, claims a top speed of 55 kmph and range of 120 km per charge. Features on the new Ridge+ e-scooter include a central locking system, anti theft alarm, keyless entry and an electronic assisted braking system along with Find My Scooter function allowing the user to locate the scooter remotely. 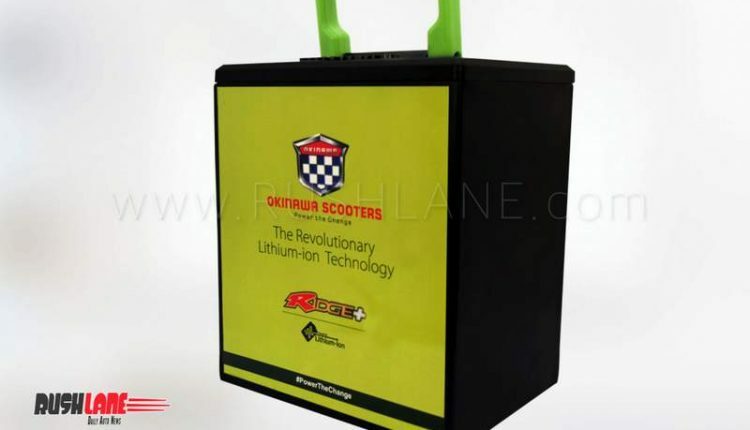 The lithium-ion battery pack gets a micro charger and auto cut off system and allows for a full charge in two hours. 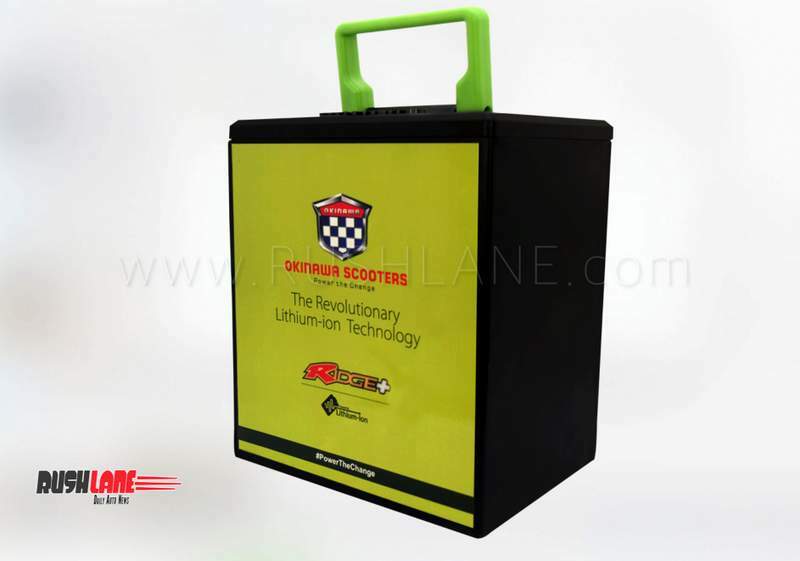 Being of a detachable kind, the battery can be carried into the user’s homes or offices for a quick recharge. Okinawa Ridge+ offers outstanding presentation and power and stands out on Indian roads due to its attractive color schemes. It gets best in class loading capacity of 150 kgs relating to better performance on Indian road conditions while also ensuring its environmental sustainability. Braking power on the Ridge+ e-scooter is via drum brakes at the front and rear. 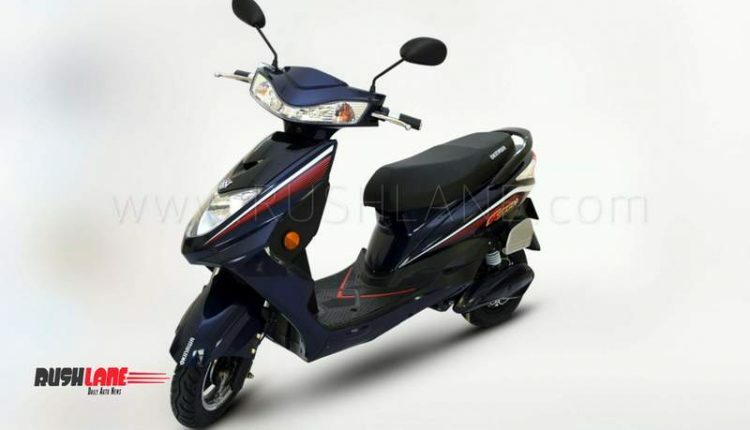 Okinawa Scooters, that works on the three principals of Go green, Save Mother Earth and Reduce the Carbon Dioxide imprint on the planet, will be selling the Ridge+ e-scooter alongside the Okinawa Ridge that uses a lead battery and the Praise e-scooter priced at Rs 58,889. 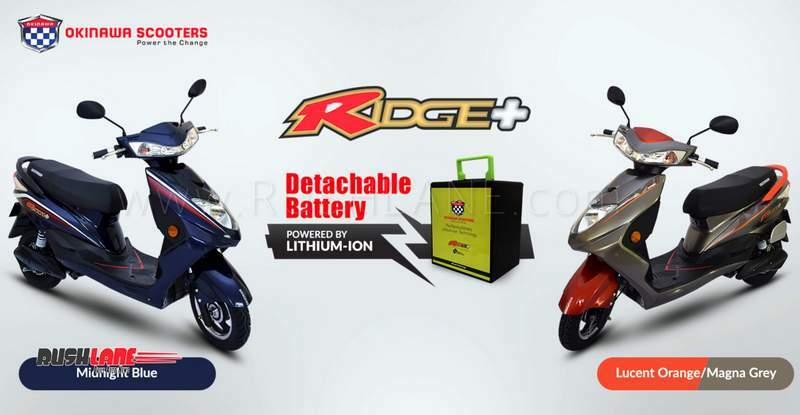 The new Ridge+ is priced higher than the Ridge by Rs 21,000 and will be sold via all company dealerships in the country. 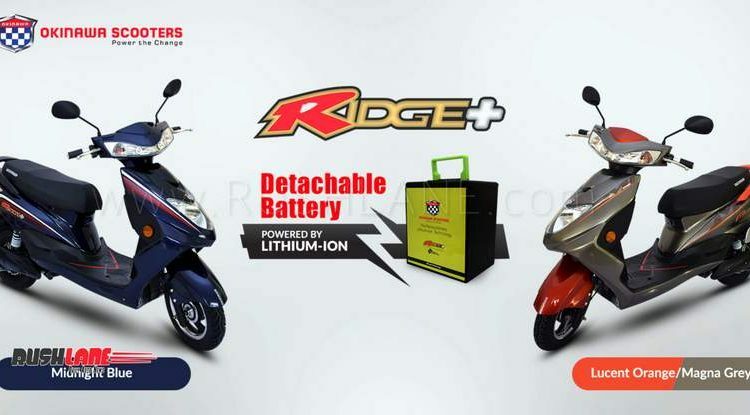 In October, a total of 500 units of Ridge+ e-scooter are ready to be rolled out while another 1,500 units will be ready by November. From then on, Okinawa Scooters is slated to enhance capacities.